Somewhere around 10 years ago, Kevin was searching on Youtube for a song. Neither one of us can remember which song it was, but what we do remember is how, on that night, we were introduced to the music of the man I am interviewing today. It didn't take long for Kevin to call me to come and listen, and soon the music of Blind Pig and The Acorn began to fill our home. We fell in love with this dear family, began to read their blog, and it felt like I had known them for years. When Pap died in April of 2016, we felt like we had lost a personal friend. Last year, we were abundantly blessed to get to meet them face to face. It is a memory we will always cherish. They are the real deal—as friendly and down-to-earth as they can be and blessed with amazing talent. Paul: Well, this may be a little bit literal, but here goes: My name is Paul Wade Wilson, and I was born on January 1st, 1974 in Copperhill, Tennessee. I have lived my whole life in North Carolina, but we are very close to the Tennessee line, and that’s where my mother’s doctor happened to be. I was the last child born to my parents. I have a sister who is 5 years older than I am and a brother who is 9 years older. My first name comes from one of my Mother’s brothers-in-law that she was very fond of, an Army veteran, and from the Apostle Paul in the Bible. I didn’t know this fact until I was in my 30’s, and once I learned the sources of my name, I liked my first name much better. I should have guessed the second source because my father was an ardent student of the Bible, and Paul was certainly his favorite teacher after Christ. My middle name comes from my father’s father, Wade Earl Wilson, who was a Baptist preacher for many decades. I spent the first half of my life obsessed with baseball and was very accomplished as a pitcher. Baseball is the only reason that I went to college, but I am so thankful now that I did because it led me to a better job and easier lifestyle than any of my family members ever enjoyed prior. I earned a bachelor’s degree in literature from UNCA and a master’s in school administration from WCU. 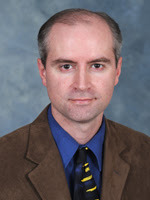 Today, I am 44 years old, and I am principal of a small, rural, public school in Western NC, serving grades pre-k through 8. I taught for 10 years and have now been a school administrator for 10 years. Although it’s very difficult and stressful at times, it’s a rewarding, meaningful job that allows me to stay close to my family. I am blessed to work in a wonderful community and with a wonderful staff. In my spare time, I play tennis and make Appalachian and gospel music. I also have a classic muscle car that I restored, which I suppose is my third hobby, although it takes far less of my time than the first two hobbies. Cheryl: What was life like for you growing up in the Appalachian mountains? 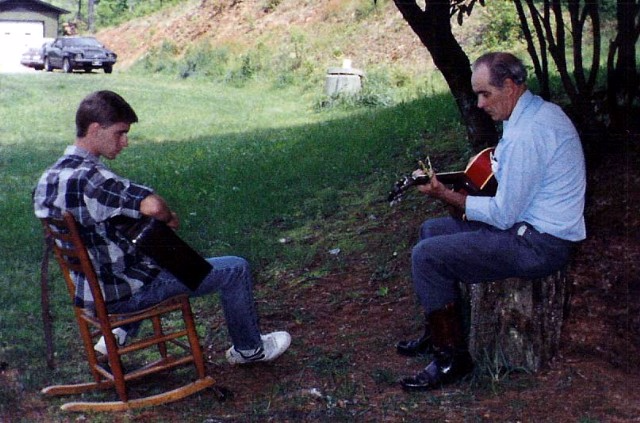 Paul: Growing up in Appalachia was idyllic to me. I was surrounded by the beauty of nature, family, good food, music, love, and most importantly, faith in God. Me, my siblings, my friends, and my cousins could run and play outside all day long, even miles away from home, never worrying about any danger other than bees, snakes, and ticks. In addition to playing baseball, and a little bit of hunting, I spent a lot of time riding bicycles up and down gravel roads. I had a very close friend, and we spent a lot of time together. Dad and I did a lot of fishing together when I was a kid, sometimes joined by my brother and/or sister. In those days, Dad was a truck driver, and he would usually use his one week of vacation to go fishing, mostly in the Hiwassee River, and we would fill our freezer with Catfish and Pike. At around 13, my dad convinced me to borrow records from my Uncle Ray, records of the Louvin Brothers and Reno and Smiley. After hearing the first song, which happened to be “Must You Throw Dirt in My Face?” sung by the Louvins, I was hooked. Up until that time, I listened to things like Rick Springfield and other rock music that was popular in the 80’s. There was something about the sincerity in the singing on those records that was undeniable, and although I hated to admit that Dad was right, I learned what real music is. 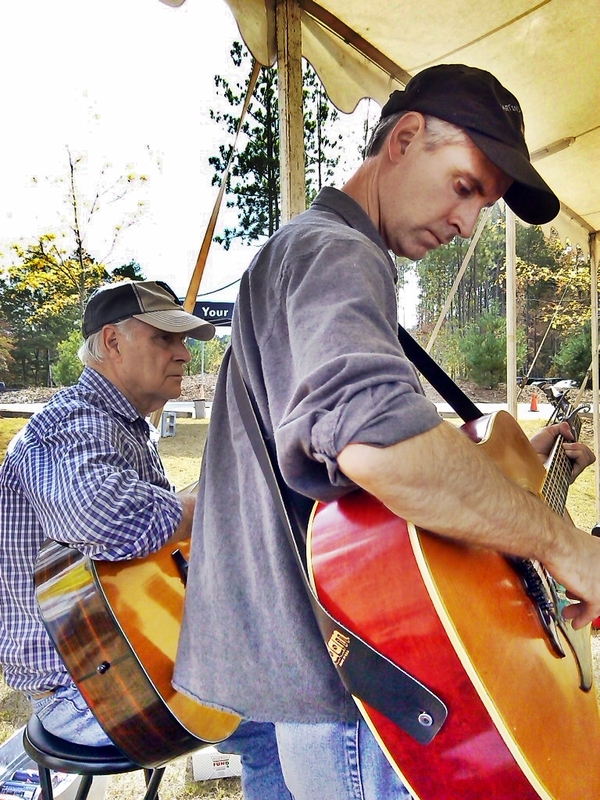 It wasn’t long until I wanted to play guitar like Dad and his brothers. 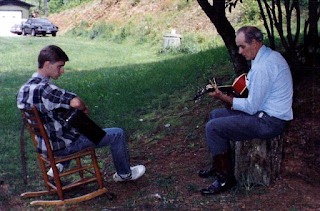 At around age 14, I learned to play my first songs on the guitar: “Red River Valley” and “Ghost Riders in the Sky.” Like a lot of folks native to our area, the older I got, the more I appreciated my Appalachian Heritage and living in the mountains. Cheryl: Can you tell us about your parents—the two people we have come to lovingly know as "Pap" and "Granny?" Paul: Mom and Dad, known to Blind Pig followers as Pap and Granny, married late by standards in our area. Where we live, folks often get hitched at age 18, or sometimes younger. I believe Pap was 26 when he asked Granny to marry him. This means that Granny would have been 23. His uncle Wayne Elliott married a lady who lived across the road from Granny’s family. Wayne played matchmaker by bringing Pap out to his house then walking across the road to invite Granny over. She refused to go meet Pap multiple times on several occasions. Finally, her mother told her, “You better go on over there and meet that boy or folks are going to start thinking that you and Wayne are seeing each other!” She reluctantly went. When she returned, she told her mother, “I believe I just met the nicest, best-looking man in the country." I believe they dated 1-2 years before eloping. They rented for about 10 years and had my brother and sister before dad built our house in Brasstown on land that his uncle Frank (brother to Wayne) bought during WWII by sending home his wages to family and telling them to buy land with it. I mentioned above that I was the youngest child. I learned as an adult that I was unplanned and that the landlady of the house they were renting tried to convince Granny to have an abortion. It’s safe to say that I am thankful that abortion was against my parents’ beliefs! While we kids grew up, Pap and Granny were always working. Pap drove trucks mostly, but he also cut wood, built houses, and used many other God-given talents to provide for the family. Granny worked in dress factories, a factory that made electric motors, and other businesses. They also fed the family by always planting and tending big gardens and canning food for the winters. Neither of them ever made much money. The highest salary I remember Dad having was around $17,000 a year; yet, I never remember wanting or needing anything that I didn’t get, including two used cars and a college education. Like any couple, Pap and Granny had some arguments and hard times over their 52 years of marriage, but they always loved each other dearly, and to my knowledge, the word “divorce” was never mentioned or considered. They took good care of each other. Both were great cooks, and I remember often seeing them make each other laugh heartily while recalling memories or stories about things that happened over the years. Cheryl: We would love to hear your Christian testimony. When did you become a Christian? 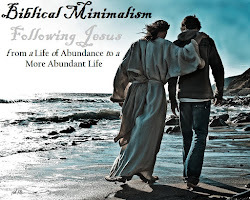 What life events led you to make a decision to follow Jesus? Paul: As we Baptists would say it, I was saved around the age of 7. The reverend Hoyt Brown (who also preached Pap’s funeral and Uncle Wayne’s funeral 30+ years later) was the pastor of our church at the time and was preaching. I went up during the altar call that he gave. I asked Jesus to forgive me of my sins. I told Hoyt that I had been saying bad words. The Word of God communicated directly with my conscience and with my spirit. I believed that I had heard the Truth, and that’s what led me to go to the altar and pray. This was the moment that I publicly accepted Christ as my Savior. But the older I get, the less I think of salvation as an act or moment, like a one-time decision. I believe that my salvation is a general state of being in that I believe Jesus was the Son of God come down to earth and that He died to make the unrighteous righteous in God’s eyes. I place my faith in Him. My salvation has very little to do with me and everything to do with God’s Grace. My part is to accept it. Cheryl: How has living for Him enriched and changed your life? Paul: Believing in and accepting God’s Grace gives me Hope. I know that atheists would disagree, but if God didn’t create us and the universe, then none of this life makes sense. If God isn’t real and this life is the only life we’ll ever experience, then ultimately nothing matters. My belief in God’s Word enriches my life by helping me understand why I’m here and what God wants for us. Without the Promise of our Lord, things like losing Pap would be unbearable, and I would sink into a depression and waste my life or engage in self-destructive behavior. Because I believe, I can move forward with a positive outlook, and I may be able to help others along the way. I could never say all the ways that God has blessed me. Cheryl: Who has most influenced you in your Christian walk? Is there a particular mentor who has helped to strengthen your faith? Paul: Throughout my life, I’ve been blessed to experience many passionate preachers of God’s Word, but certainly, the biggest influence and mentor for me was Pap. Pap taught Sunday school for probably 50+ years, and he studied the Bible more meticulously than anyone I’ve ever known, including the many accomplished preachers that I’ve known. I’ll share a story that goes back to Pap and Granny’s early days. After they eloped, they lived at Granny’s home for a couple of weeks. One day, when Pap exited the living-room and went outside, Granny’s father looked at her and said, “I’m really worried about that boy.” Granny quickly asked, “Why? What’s wrong with him?” Her father proceeded, “All he does is read that Bible. Every time I look at him, he’s got his nose stuck in it. If he don’t quit, he’s going to lose his mind!” Pap was no doubt searching for understanding and for Truth. I believe that in time, God allowed him to reach a very advanced point of understanding, and he was able to share that knowledge and understanding with many others, including me. Anytime I was confused about something in the Bible or when something seemed to be a contradiction, a conversation with Pap made things clear, and he showed me that God’s Word contains no contradictions, no errors, and no problems, only perfect harmony and deep meaning. He could do this through knowing the Bible in entirety so that he knew everything written about any given topic in various books of the Bible. Truly, he didn’t read the Bible; he studied it. He wasn’t one to take a verse and try to make it support how he thought things ought to be. Instead, he let God’s Word speak. In addition to all that he taught me about God’s Word, Pap taught me through the example of his life and how he lived it. Although he did a lot of good in this world, I never for one second recognized any sort of self-righteous attitude about himself, although I know I am biased. I have faith in God primarily because of God’s Word; however, to be honest, I also believe it's because Pap believed it. I’ve never known him to be wrong about anything ever when it mattered, and so I am placing my faith where he placed his. In the Book of Acts, we are told that a man’s household may be saved because of his belief in God. Although I cannot fully explain it, I think I may be an example of that promise coming true. Cheryl: During your growing up years, who were your strongest musical influences? Paul: In terms of professional musicians, my biggest influences were definitely the Louvin Brothers and Reno & Smiley. Of course, I learned to sing and play from Pap, and Pap is the one who convinced me to listen to the music of the Lovins and R & S, so that makes him the most influential overall. Cheryl: Who are some of your favorite singers/musicians to listen to on a regular basis? Paul: When I was young and first started listening to music, I would never have imagined that my taste would be as broad as it is today. I listen to a wide range of music regularly, everything from early country/gospel performers like the Browns Ferry Four to independent folk-rock groups like the Fleet Foxes or the Avett Brothers. Basically, I like any type of music as long as it is actual music and is well done. What I mean by that is, that it must be genuine music with a real melody, chords, and rhythm, and it must be authentically made by the musicians and singers. I’m happy for those who like it, but I cannot tolerate modern country music because it seems to be the most artificial and superficial thing ever produced. The vocals are computerized, and the topics and lyrics of the songs are shallow and vain. If I had to choose between listening to heavy metal and listening to modern country music, I would choose the heavy metal because it is less fake than the “music” played on CMT and on radio stations featuring the modern country genre. Cheryl: Please tell us about The Wilson Brothers and their music and how it has helped to shape your musical style. Paul: Pap and his brother Ray sang as a gospel duet for around 40 years, with Ray singing the lead and Pap singing harmony. They both played acoustic guitars, and toward the end of their career together, Ray played the mandolin. They sang some of Pap’s original songs but devoted most of their time to covering songs from the Louvins and Reno & Smiley. They also sang hymns and songs from other groups, like the Blue Sky Boys. In many magazine articles and press releases, the reporters oddly cited the Stanley Brothers as influences on their music. However, this was very far from the truth because neither Pap nor Ray cared for the Stanley sound. 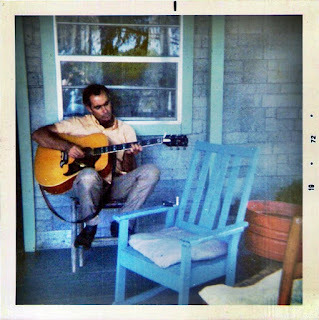 Their younger brother, Henry, played with them early on, using an electric guitar, which he played in the style similar to Chet Atkins’ guitar playing. They sang in countless churches and other venues over the years and never recorded any secular music. They had weekly programs on at least 3 different radio stations over the years. They made their first released album in 1973, called “Words of Life,” which was very well received and is still played on the radio today. They made their last recording (“Today, If You Will Hear His Voice”) in the early 2000’s. All told, they recorded and released around 6 recordings, plus a CD featuring a compilation of live music. They won the NC Folk Heritage Award from the NC Arts Council in 1998, receiving the award and playing on the same stage with Arthur Guitar Boogie Smith (co-writer of “Dueling Banjos”), who also received the award. When I was around 16, Ray had a recorder capable of overdubbing and producing fairly good audio quality on high bias or metallic cassette tapes. He allowed me to borrow this recorder for over a year. At the time, I had written many songs. The recorder, along with headphones and a mic, allowed me to play guitar (lead and rhythm) on two separate tracks, as well as sing lead and harmony with myself, then mix it all down into a finished recording. Having access to this type of equipment probably advanced my musical ability and understanding within that one year as much as I could have advanced it in five years otherwise. There was no YouTube or even Internet back then from which to learn music. I used Ray’s recorder until it was almost worn out. When I got my first job, I bought him a new one. I learned a lot from them in terms of how to play music, but because I traveled with them from age 17 till my early 30’s, I may have learned even more from them about how to perform in various settings and how to interact with an audience. Cheryl: Please share with us about the blog, "Blind Pig & The Acorn" and its author, Tipper. Paul: Around 10 years ago, my sister Tipper started a blog called Blind Pig & The Acorn. She realized how much she loves our Appalachian Culture and that she wanted to do her part to preserve it. While she still doesn’t make much money from the blog, the fact that it has readers from all over the world and averages 7,000 hits a day, indicates that she has succeeded in her mission. On the blog, readers learn about Appalachian cooking, folklore, history, geography, music, farming, art, and more. 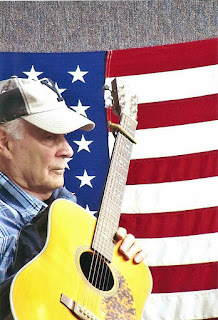 An unexpected outcome from the blog is that we now have around 200 videos of Pap singing and playing music with me and some of his grandchildren. These videos are precious to us now that he is gone on to be with the Lord, and if not for the blog, they would never have been filmed. The videos appear on the Blind Pig Youtube channel, and to date, some of them have been viewed almost 70,000 times. Much like the blog followers, the people watching and commenting on the videos are from all over the world. It’s really neat to know that people thousands of miles away are able to enjoy the things we did right there in my kitchen. Tipper certainly didn’t start out as a tech wizard, but over time, and through a lot of hard work, she learned how to make the blog function as it should to really appeal to and attract readers. I think this shows some of the resolve and ingenuity characteristics of Appalachians. She also discovered and honed her voice as a writer. 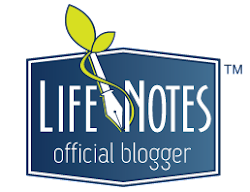 Many blog followers have contacted her to say that her blog has made a powerful difference in their lives and given them inspiration and hope on a personal level. Cheryl: How did the name "Blind Pig and The Acorn" originate? Paul: When Tipper first conceived of the blog, she wanted to name it after a common Appalachian saying. She went through a long list of possibilities and finally settled on “Even a blind pig finds an acorn once in a while.” Her Husband, Matt Pressley, is from Haywood County, NC, and someone from his family suggested this saying as the title for her blog. At the time, I had never even heard the expression, but I’ve heard it and various versions of it since that time. Tipper thought the idea of getting lucky went along well with her attempt to create something new from scratch. The title has proved popular. Cheryl: How has the music of "Blind Pig and The Acorn" evolved over the years? What is the story of its history? Please tell us about The Pressley Girls, their music, and their involvement with "Blind Pig and The Acorn." Paul: The Blind Pig music has changed over time as the younger generation, The Pressley Girls, began to become more accomplished with their music and to take more of the center focus. After the first few years of filming music in the kitchen, Tipper joined us on bass, which really improved the overall sound of the music. 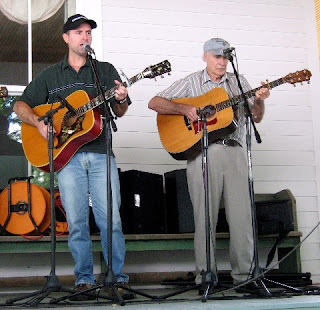 We started out doing mainly music one could describe as “canon” from the world of hymns, classic country, bluegrass, etc. And at times, we would throw in unexpected numbers, like “Memphis” or “El Condor Pasa.” I don’t think that aspect of variety has changed. Katie and Corie have been more heavily influenced by the music of the John C Campbell Folk School than either Pap or I was. This means they have more interest in playing Irish and Scottish music, such as traditional fiddle tunes and ballads. Above, I mentioned that Pap and Ray never recorded any secular music. Now that Pap isn’t physically with us, I only sing his songs when I have the opportunity to sing a solo during one of our concerts. For the most part, I sing harmony with Katie and Corie and back them up on guitar. I try to impart to them the things I learned from the Wilson Brothers. 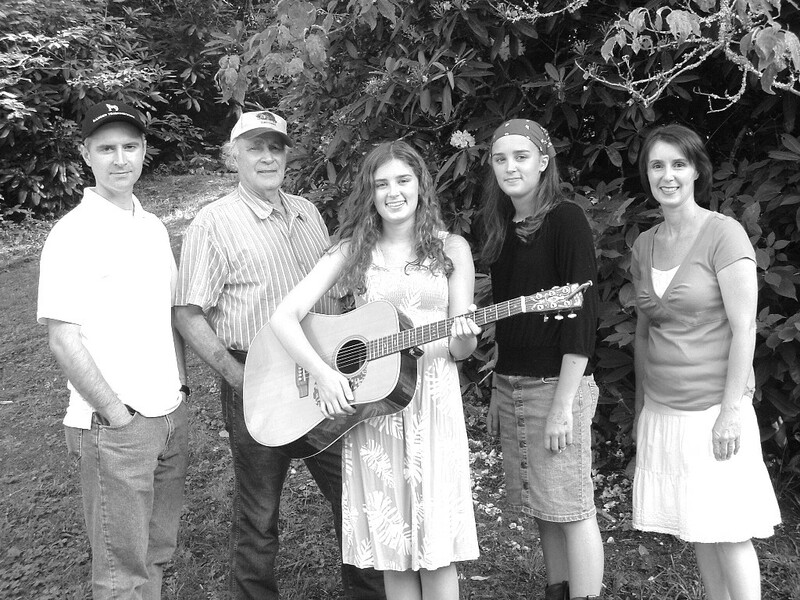 The Pressley Girls focus a lot on traditional music; however, they also compose their own songs, both lyrical and instrumental. In my estimation, their original material is at least on par with the cover material they perform, and I encourage them to avoid the mistake of polishing a lot of cover songs while neglecting their own original compositions. Most weekends, they stay fairly busy. This past weekend, they were booked for and performed 3 separate shows at 3 separate venues. Although they sometimes appear on the Blind Pig channel, they have their own website, (thepressleygirls.com). Visitors to the site can find their performance calendar and how to purchase their music. 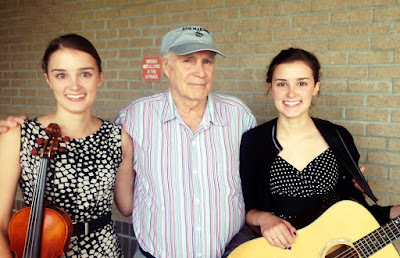 With the exception of fiddle playing, which they learned from other teachers, the Pressley Girls learned music from Pap. 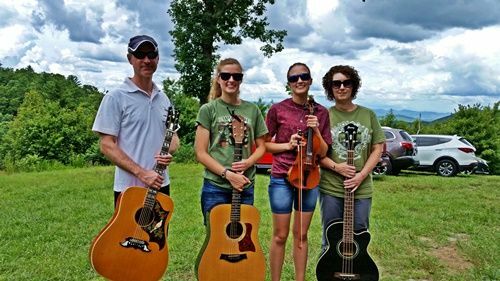 They attended Young Harris College on full-ride music scholarship but decided to change their major to sustainability and interdisciplinary studies. They changed their major because they didn’t like the type of music they were learning and performing at the college. I hoped that they would stick with it and learn about different genres of music and more about reading music. Pap and I only played by ear. Corie and Katie learned to play that way, and I thought if they learned the other method too, it would give them the best of both worlds. Cheryl: In the current group that makes up "Blind Pig and The Acorn", which part and instrument do each of you sing and play? Paul: As stated above, Tipper plays the bass, a 4-string acoustic bass that we run through an amp. Katie plays the fiddle. For the most part, Corie plays guitar, but she occasionally picks up the mandolin. In performances, I primarily play guitar. On their first recording, I played a smidgen of harmonica, mandolin, dobro, and keyboard to accompany their singing. 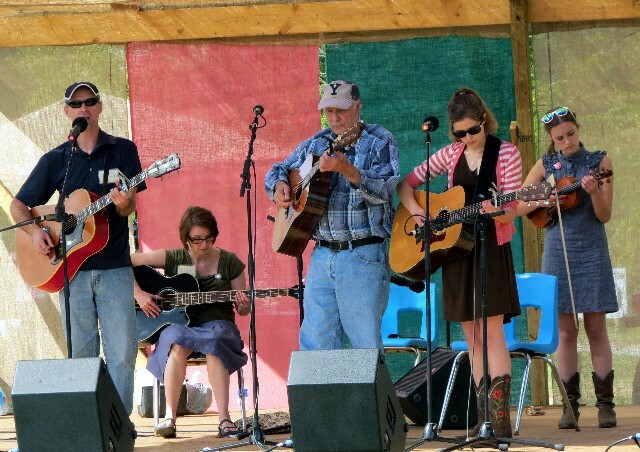 The only instrument I recall playing in a public show other than the guitar is the mandolin. For the most part, Katie sings lead and Corie sings high harmony, what Pap always called tenor. On a few songs, Corie sings low harmony underneath Katie, and Corie also sings some lead on the verses of songs. When I sing with them, I sing primarily harmony that could be described as a low tenor or some sort of baritone. Cheryl: What are some of your favorite songs to perform, as a family? What makes them special? Paul: We really like doing “Working On The Building” because it is a crowd favorite and also because it’s a song that we sang with Pap as a trio. Katie now sings his part. He sang high lead on the song, and Katie sings low lead. We also have a lot of fun on unusual songs like “Give the Dog a Bath,” which they wrote. We love singing “Walking My Lord up Calvary’s Hill,” which we learned one year for Easter. 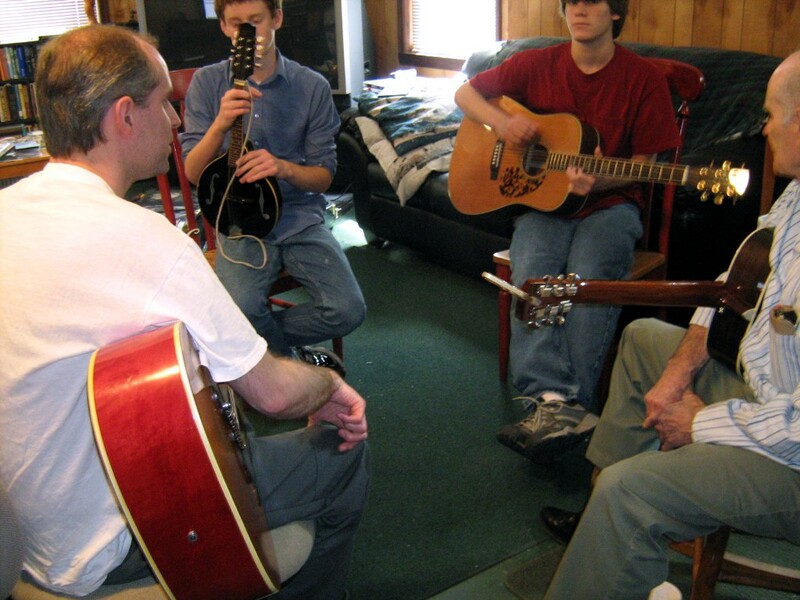 Songs can be special to us for a variety of reasons, but mainly it comes down to shared experience and creating music as a family. Cheryl: Please share with us about recording projects of The Wilson Brothers, Blind Pig and the Acorn, and The Pressley Girls and how we can purchase them. Paul: Some of the Wilson Brother recordings are no longer available, but the ones that are still available can be purchased through Blind Pig and The Acorn. The Pressley Girls' first album can be purchased there and on their website. 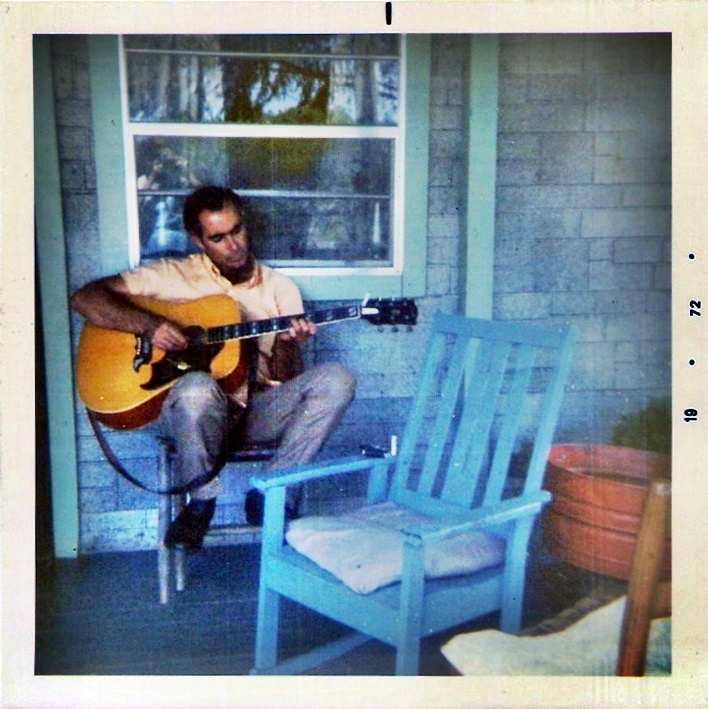 Pap and I made a recording of some of his original gospel songs that can be purchased through the Blind Pig blog. That recording, called “Shepherd of My Soul” is also available through iTunes, Spotify, CD Baby, and some other digital distribution services. We hope to produce some new recordings for distribution in the coming years, and these will be available in those same places. Cheryl: Looking back over the years, what do you identify as being some of your favorite musical memories? Paul: I mentioned above that the Wilson Brothers performed on the same stage with Arthur Smith. This was at NC State in Raleigh, NC. This was one of the largest audiences that we ever played for (around 1,500 people), and we were very well paid! We also traveled to a festival in Cuyahoga Falls, Ohio around that same time. Between those two shows, we were paid $8,000 total, and Pap and Ray sold 90 recordings. These two shows stand out in my mind not because we did them for the money. We didn’t even care that much about the money, and we put over half of it back into making another gospel recording. They stand out because, in those moments, we felt like we were recognized for our gospel music, almost on a professional level. Most of our performances were for free. We also had some memorable performances in Kentucky, Georgia, and Tennessee. In the summer of 1998, I traveled with Pap to Bell Buckle Tennessee to meet with Charlie Louvin. I brought Charlie a demo recording of around 20 original songs that I wrote, and he was kind enough to give the demo to the manager of Valerie Smith, who was a rising bluegrass star at the time. Although no one ever recorded any of my songs, it was a special day. We ate lunch with Charlie, and Pap and I sang on the local radio station there. I played Charlie’s guitar when we sang. Charlie even added a third-part harmony to a song that we sang back at his museum in Bell Buckle. We declined his invitation to go to the Opry with him that night, but that evening as we drove back to NC, on the radio we heard him dedicate “See the Big Man Cry” to us before he sang it on the Grand Ole Opry. Another favorite musical memory I have is hearing the Marksmen Quartet perform one of dad’s original songs on stage. But my most treasured musical memories will always be those times singing with Pap, times when our harmony seemed so tight, and we would look at each other across the two guitars and smile, even if it was only with our eyes. Cheryl: If you could accomplish any musical dream going forward, what would it be? Paul: In a sense, I have only two musical dreams remaining. Before I die, I hope to record an anniversary CD of the Blind Pig blog, and I hope to record/produce one more gospel CD with the rest of Pap’s original songs, some of which have never been heard outside of our family. This CD may feature 1 or 2 songs that he and Ray recorded, using a different arrangement, but for the most part, they will be songs that have never been published. My dream is to do the songs justice. I have been learning as much I can about recording for digital distribution as the way to reach a much larger audience. My focus has shifted entirely away from selling music. 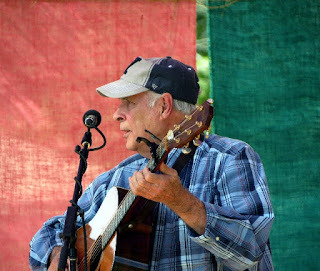 My goal is for as many people as possible to hear his gospel songs, even if it means that the music is completely free. Cheryl: As a Christian living in a culture that is growing increasingly hostile toward God and His Word, how do you stay spiritually encouraged? Are there certain Scriptures, songs, books, or other resources you turn to in times of discouragement? Cheryl: How can we pray for you, your family, and "Blind Pig and The Acorn?" Paul: I really appreciate you asking. Please pray that we remain blessed with the freedom and opportunity to continue doing what we do musically and in terms of the blog. Granny’s health is declining with age, and she requires more and more care from us. Please pray that we are able to continue providing her with what she needs and that we are able to ensure that her last years on earth are happy ones. A BIG thank you to Paul for sharing his heart and Inner Views with us! What a blessing it was to get to know him and his family better! a gospel song and biographical sketch of Pap. Also, if you could please take the time to write a review of the song for Paul, he would love to read it and be most grateful! Please pray for Paul, his family, his dear Mom, Granny, and the prayer requests he mentioned above. May God always preserve our freedom in this great country so we can all continue to spread the good news of the Gospel! Thank you so much for reading, and may God bless each one of you dear readers. I enjoyed reading about Paul, Pap, Granny, Tipper and the Pressley girls. Thank you for sharing Paul's stroy with us, Cheryl! Thank you ever so much for your kind words, sweet friend! They surely are a blessing, and I am so thankful you enjoyed getting to know them! Oh, bless your heart! I am getting ready to add an update tonight. I have had a hard time with no internet, also, and am trying to get on and do all I can while I have a few minutes online. :) You will never know how much we appreciate your love and prayers! I am so thankful you enjoyed Paul's interview. We absolutely love their music, too!! Sending lots of love your way! Wow - there is so much to love about this interview and these folks! What a wonderful legacy they are carrying on with their music and faith. I loved watching their videos as well. Beautiful! Thank you so much for your kind words, my friend! You are so right ~ they are such a dear blessing. God bless you! Thank you, Cheryl! This is a truly beautiful interview with Paul and it so accurately represents Paul and the whole family. Paul is very much like Pap, both loving, soft spoken, and genuine men...a rare commodity these days. Paul is such a sweet genuine man, I'm happy to see that reflected in your interview! Miss Cindy, Tipper's mother in law, though she is like a daughter to me! Oh, Miss Cindy! I am so grateful for your visit and kind words! We just love Paul and your whole family so very much! Hope we get to meet you someday, as well. Paul does seem very much like Pap and just as you described. I can just imagine how you love Tipper just like a daughter ~ she is a precious person, and I am so thankful to call her my friend. Your visit made my day! Thank you so much for stopping by, and may God bless you abundantly. 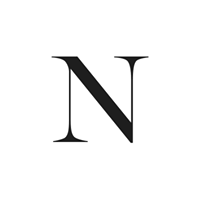 I have been a Blind Pig and the Acorn reader for a few years now, and I congratulate you on a very good interview of Paul Wilson. I admire him very much: his music, his faith, and his ability to communicate. His faith is true and strong, his communication skills are obvious, and his music is "real". Thank you ever so much for your kind words and visit, Kenneth! It is so nice to meet you. We admire Paul very much, also, and completely agree with your words. May God bless you! Wow, Cheryl!! What an interesting interview and post. I have never heard of them or the blog so it is always fun to explore new-to-me people and talent. I love how authentic they are to the place where they grew up and live. I am so thankful you enjoyed getting to know this wonderful family, Diana! I hope you have a blessed week, also! Thank you so much for stopping by! Wonderful post, Cheryl. I thoroughly enjoyed it. So thankful you did, sweet friend. God bless you! What an incredibly interesting interview! I enjoyed hearing all about Paul Wilson, Pap, Tipper and the Pressley girls, they are all so talented! Such beautiful music they play and share! I will definitely check out the Blind Pig and the Acorn blog, what an interesting title, and how wonderful that Tipper shares the life of the Appalachian people like this. You are gifted at coming up with questions as the interviewer sweet Cheryl, you truly help bring the hearts of people to light. Love and appreciate you so much sweet friend! So happy to introduce you to this amazing family, sweet friend! And, thank you for your kind words, too. They mean so much. I love and appreciate you so much, too!